This blog focuses on advanced techniques in the kitchen as practiced in the Northwest. But to understand the present, you need to be educated in the past, to know the foundations from which current practices have built upon. Recently I had the opportunity to work with technology so old that it was new again. A friend of mine invited me up to spend the weekend in an A-frame cabin out in the Cascade mountain range. There’s no electricity or running water there, and we had to bring in our own water and food. She’s a chef and knows I love to cook, so she told me the cabin had an antique wood stove and a big rolling firepit grill to work with as well. 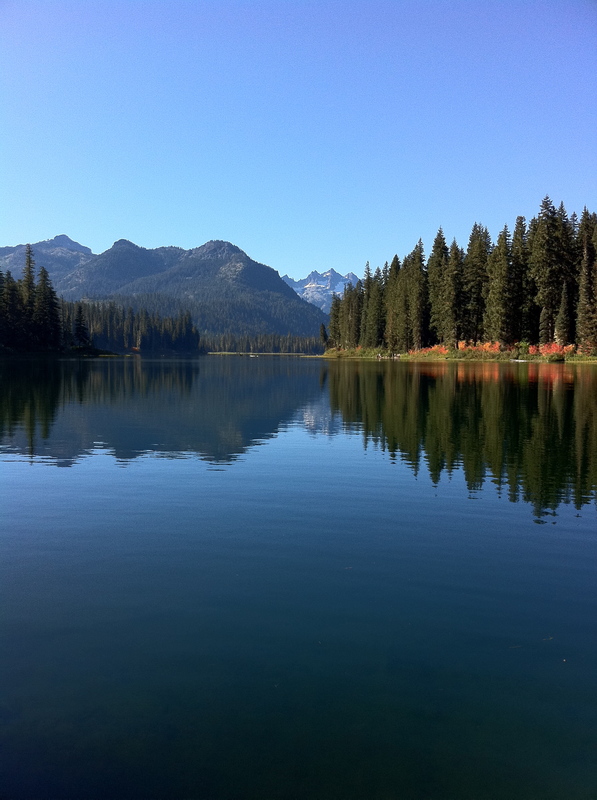 Along with canoeing, hiking, hanging out with friends – how could I say no? I arrived to this small slice of Heaven deep in the Cascades and found a stove that is easily as cool as my sous vide setup, immersion blender and collection of additives. The Quick Meal. A little background: in 1850, John Rigen, a German immigrant, started a tin shop in St. Louis, MO. In 1870, George August Kahle became his business partner and together they started a business selling cooking stoves and washing machines. 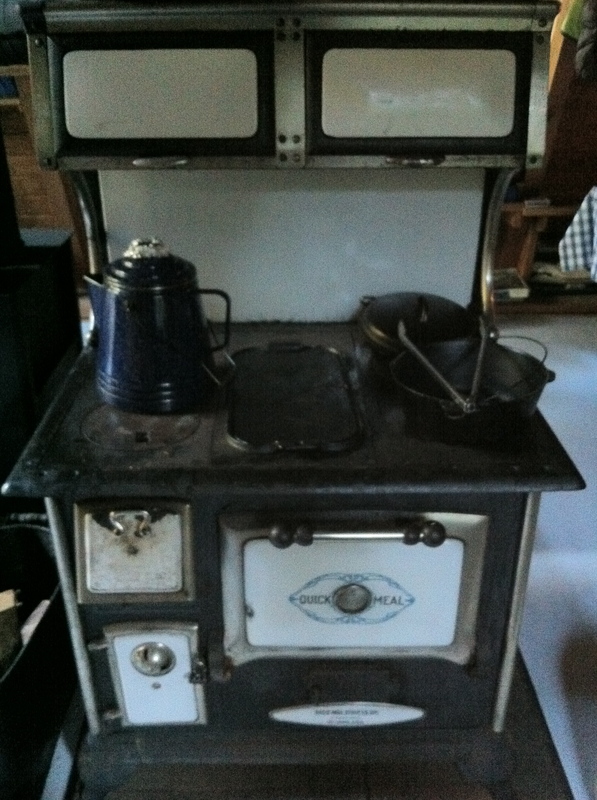 The cook stoves were called “quick meals” to reflect their convenience over conventional methods, which was cooking directly over the fireplace. 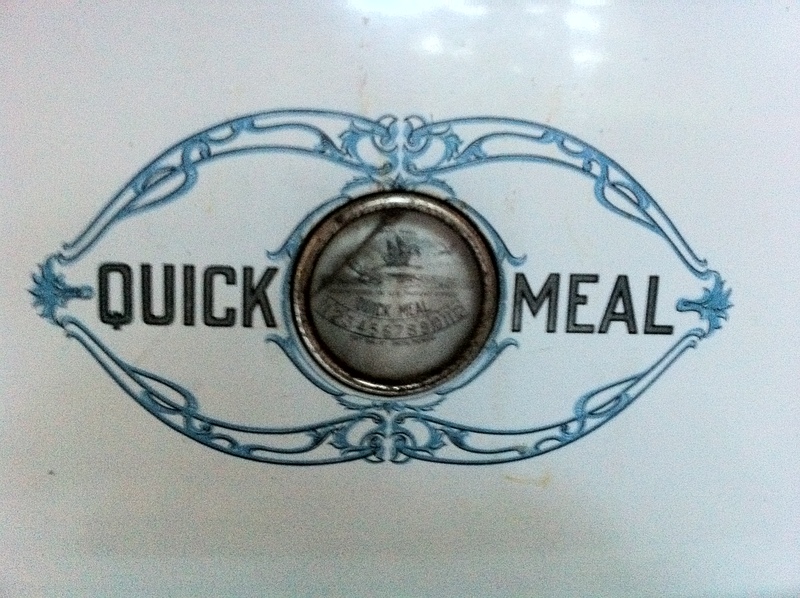 Eventually it became two companies: the Rigen Stove Company and the Quick Meal Stove Company. Quick Meal produced the stoves and Rigen distributed them. From their success they grew until in 1901 they merged with several other companies to form the American Stove Company. American Stove continued to produce and sell the Quick Meal stove. In 1929, the Magic Chef oven (which was gas-burning) was introduced as the Quick Meal Magic Chef stove, and the fire-burning stove was phased out. We started her up and then…we waited. It took at least 45 minutes for the stove to heat up to the point where things would sizzle, much less boil. I grew up with a microwave, so it was eye opening to think that this was considered an advanced time saving kitchen appliance in its day. 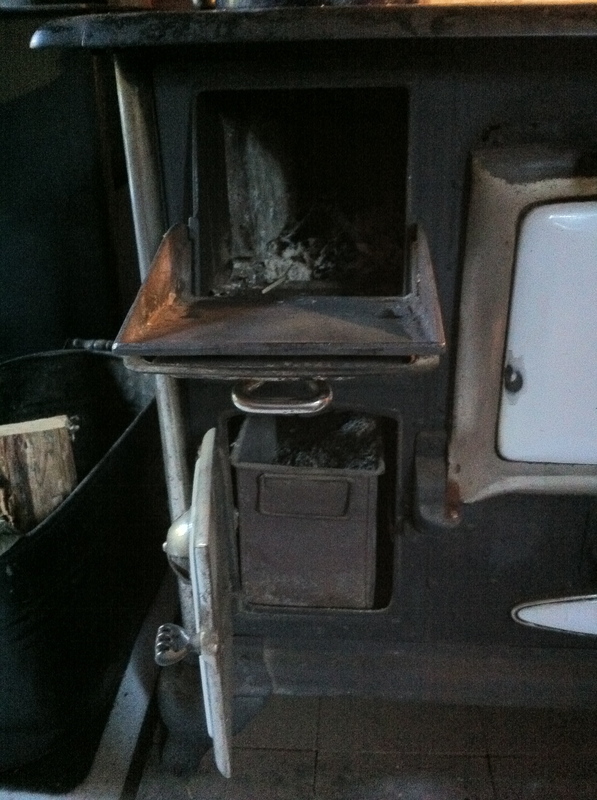 And, of course, we had to continually feed the fire to keep the temperature up and going. Finally, the stove was ready. 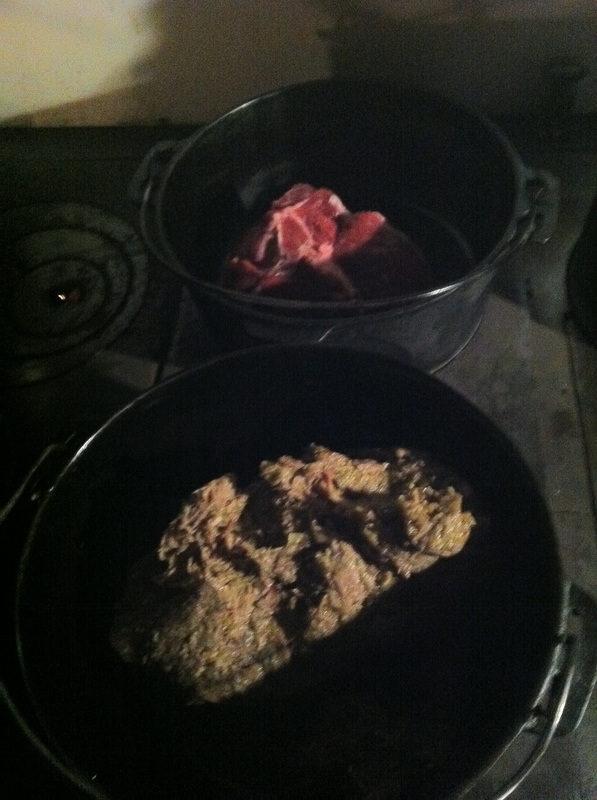 I brought some boneless leg of lamb, and we cooked it along with some pork chile verde from the night before. And then we cooked for a long, long while by the light of propane lanterns. Meanwhile, someone pulled out a ukulele and sang cover songs while others played cards. 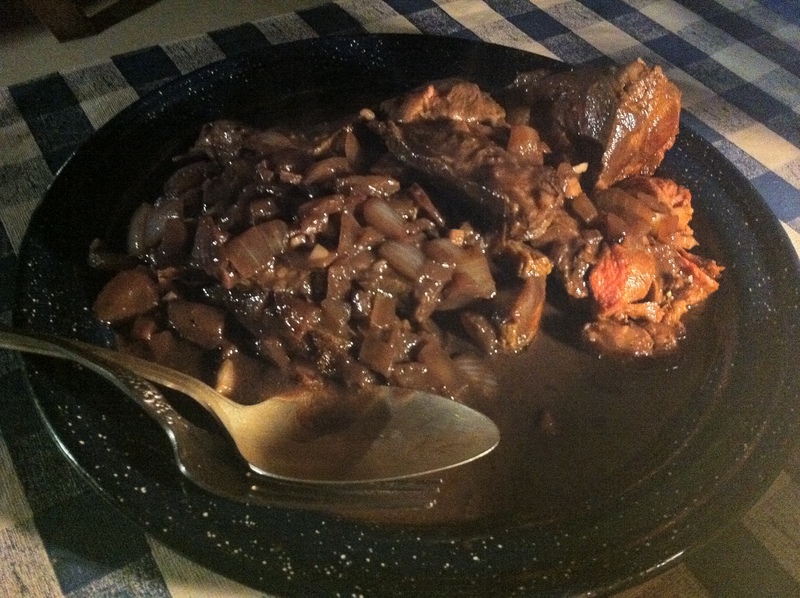 We threw together a simple sauce of garlic and onion, with red wine and chicken stock that was reduced and then a bit of beurre manié to thicken it up. When it was finally ready we sliced it up, poured the sauce over it and sat down for a dinner full of laughter and conversation. It was simple, it was honest, it was rustic. And it was delicious. 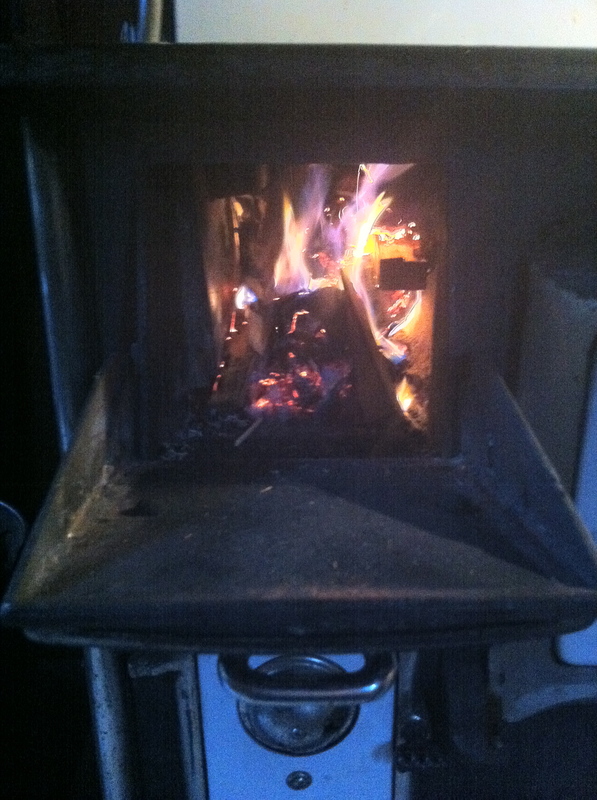 Working with a cast iron stove has given me a new appreciation for the advantages we have today in our home kitchens. With pinpoint accuracy of appliances like the Cooktek Apogee Induction Cooktop and laser thermometers, we’ve been able to eliminate a lot of the time and guesswork out of cooking. Some would say modern cooking replaces the art of cooking with simple calculation, the same way some talk about how electronic music is lifeless compared to acoustic music. I see it as simply another way to arrive at delicious food. And any artist will take what tools are available to create something truly extraordinary. One thing I do know: Nathan Myhrvold claims to have the most well-equipped kitchen in the world. If it doesn’t include a fire-burning cast iron stove, then he’s one appliance short.